I do it, again and again. Get what I think is a good idea--(after dark) I try and work it out, and tell myself, this imperfection, but the imperfection will work out. I persist—even in the light of day, trying to convince myself, that, some how, this pig's ear is going to evolve into a silk purse. Enough—This morning, I frogged the 8 inches of mess, and started over. Already, a neater tighter eyelet. Already the same 5 inches I had yesterday at this time. Perhaps not a silk purse—but definitely not a sow's ear either! I think--this time as I have begun , I will continue. Here look side by side--on the left, yesterday mess, on the right, todays much improved effort. It's so clear I was fooling myself yesterday when I thought I could make things work out. Maybe, now that I am on the right path—I'll make some real progress. It's always a bit risky knitting with out a pattern. And trying to develop one as you go. 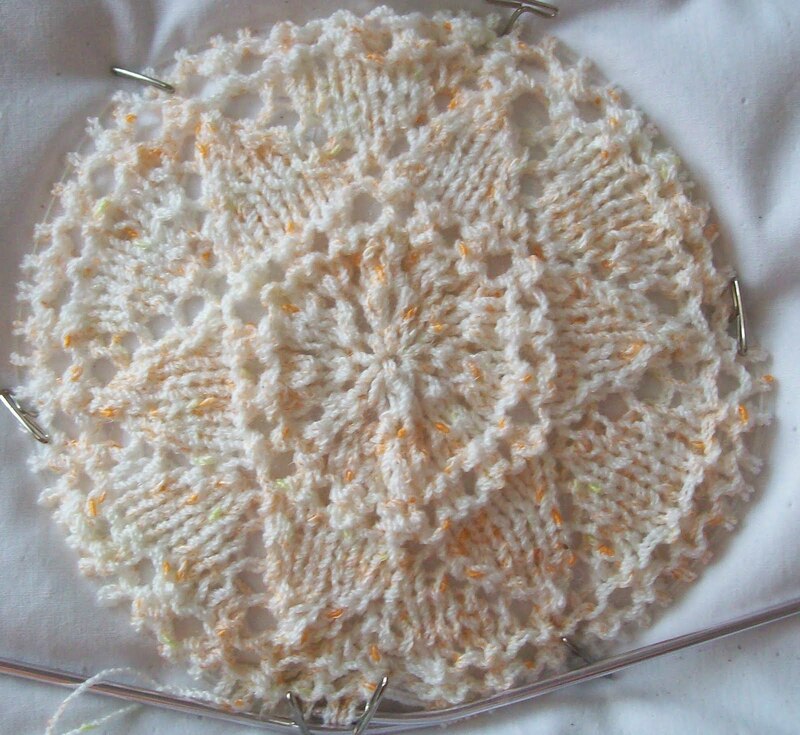 Letting years of knitting and experimenting be your guide. But I almost always think the risk is worth the reward! There are 22 rounds worked at this point--about 60 stitches to the crown of the hat. And every one has been documented--(with stitch counts for every round!) I think (still) that I will need about 120 stitches before it will be be big enough around to stop increasing. I got that many stitches yesterday, at it was about right(the diameter was about the only thing right at that point!--So I am off to work--knitting, documenting, knitting. Watching a pretty hat take shape in my fingers. What fun! The yarn is a oner—(well maybe not if you live in Japan!) 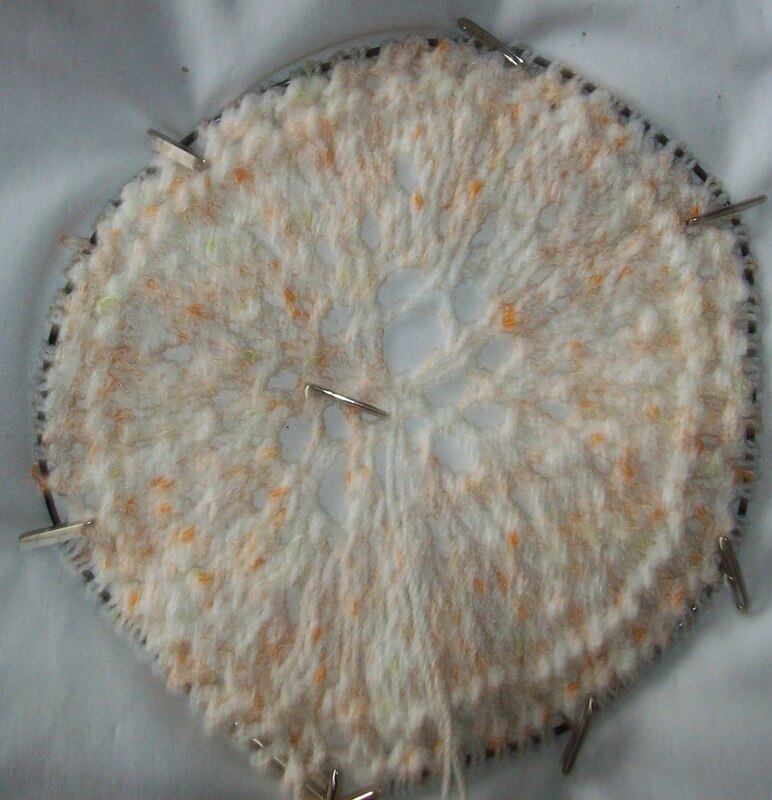 but there are lots of other yarns (Paton's Grace cotton, I suspect) that will knit up to a similar gauge. I don't get yarn support and write patterns for specific yarn. I knit with what I have . But I think there are lots of yarns that will be quite suitable a summer hat in in almost everyones stash—and if not, many inexpensive cottons that can be readily found will work! Isn't funny how our minds work? I come up with an idea and if I play around with it and let it ferment a bit. I will go off in a direction I hadn't thought of with beautiful results. I love the new improved! You are a trailblazer. That's a very pretty pattern for the crown of a hat.